See today's Calgary townhomes & real estate in Calgary below. Calgary townhouses provide an excellent buying option for empty nesters looking to downsize, busy professionals that don't have time for yard work, and first time buyers looking to enter the real estate market. Townhouses are generally less expensive than single-family homes and offer more privacy than typical condominiums; in fact, they can be the ideal property for a number of buyers. For additional information about townhomes for sale in Calgary, Alberta or to schedule a private showing, contact your Calgary townhouse experts today! 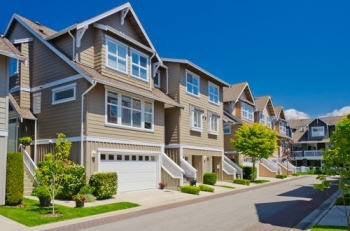 Read more about Calgary townhomes. Looking to buy or sell a Calgary townhome? Call Justin Havre at RE/MAX First at 403.217.0003. Your neighbourhood real estate agents are here to help you navigate the ins and outs of the Calgary AB townhouse market. Buyers can find townhomes for sale in every section of the city, with many located on quiet streets close to shopping, schools, and parks. A number of units include features like private backyards, gas fireplaces, in-suite laundry facilities, patios, and air conditioning. In addition, amenities like playgrounds, tennis courts, and swimming pools are often available for community use. The Calgary townhouse market includes new construction, remodels, and older properties, which gives buyers an excellent selection to choose from. There are also gated developments that provide a greater sense of security and peace-of-mind. Prices for townhomes throughout the greater Calgary area range from the mid-200's to nearly $2 million. Condos are a great option for many buyers, but they can lack privacy and space for some people. Single-family homes make up for the privacy and space lacking in most condos, but they also require extensive upkeep and gardening. A townhome can be the ideal compromise if you're looking to buy a property in Calgary, Alberta. With neighbours located next to your unit rather than next to, above and below, a townhouse is generally a lot quieter than a condominium, but still provides a sense of security because the neighbours are so close by. In addition, townhouses typically feature yard space that is fenced-in and reasonably private. This is a great spot for children to play, for gardeners to delight in their hobby, and for outdoor get-togethers that would be impossible to host in a condo unit. Unlike with detached houses, townhouse owners are not responsible for maintaining the exterior of their home. And because yard sizes can be smaller than with a house, the amount of landscaping required is greatly reduced. This makes a townhome ideal for seniors or for people who are too busy to maintain a larger piece of property, but still want a plot of land that belongs just to them. Preparing for the sale or purchase of a Calgary townhouse? Let our local real estate team work with you to navigate the purchase of or expertly negotiate the sale of your Calgary residence. Our expert knowledge will give you access to up-to-date information about the unique market dynamics of townhouses in Calgary. Contact Justin Havre at RE/MAX First to learn more about buyer and seller representation for Calgary properties. Visit our comparative market analysis page to receive a free townhome value estimate in Calgary within moments.